The Aegis Dental team has years of experience working with Carrollton patients to offer exceptional treatments within your schedule and budget. 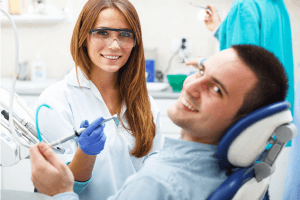 We offer affordable preventive, restorative, and cosmetic dentistry services, and our knowledgeable team members also process and file dental insurance claims for most major providers. To ensure our patients receive the maximum available benefits, we’re in-network providers for numerous insurance plans, including Cigna dental insurance policies. When you call to schedule your first appointment in our Carrollton dental office, please let our team know about your dental insurance coverage. We’ll do our utmost to maximize your benefits from the very first appointment in our office. Cigna dental insurance policies are unique agreements between patients and their insurer, and no two benefit plans are exactly the same. Like other dental insurance plans, Cigna offers patients coverage for a percentage of the cost of treatments up to a maximum price in exchange for a monthly premium. Cigna also sets a maximum on the amount of coverage you can receive within a plan year, typically between $1,000 and $1,500. Our practice emphasizes prevention to help you keep your smile whole and healthy, and visiting us for regular preventive dentistry visits can also save you money. Cigna benefit plans cover preventive dental care between 80 and 100%, so you know you’ll have the lowest out of pocket costs for these treatments. 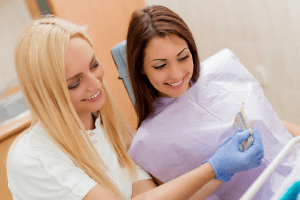 Six month dental appointments also help you avoid the need for more advanced treatments that receive a lower percentage of treatment coverage. If you do need restorative dentistry services, minor treatments like fillings are usually covered between 70 and 80%. More advanced treatments are covered between 50 and 70%. Cigna, like other PPO benefit providers, allows you to receive insurance coverage for treatment at almost any dental office. However, there are benefits to choosing an in-network provider like Aegis Dental. Because we are in-network with Cigna, we have agreed to the maximum pricing for treatments as outlined by your Cigna plan. That means you are only ever responsible for the out of pocket cost of treatment. 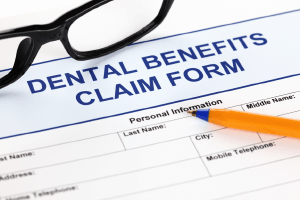 In some cases, an out of network dental office may charge fees higher than those outlined by Cigna, but you will need to pay the out of pocket costs of treatment as well as the difference in pricing. In most cases, additional costs are negligible, but visiting an in-network office means you don’t need to worry about these added fees. In addition to charging treatment costs within the maximum set pricing, we also understand annual maximums, and we can help you plan for more advanced treatments without exceeding your annual available coverage. When you have questions or concerns about your Cigna insurance policy or coverage, we welcome you to give our Carrollton dental office a call. In most cases, you’ll be working with our friendly and knowledgeable front desk receptionist, Ariana. She is always happy to answer questions about insurance coverage to help you feel more confident in the cost of their treatment plans. You should also feel free to ask any questions you have about the cost of treatment or insurance benefits while you’re in the office. Our team members are always happy to help.